Marquette, Mich., Jan 4, 2019 / 03:34 am (CNA).- Irving “Francis” Houle was a Michigan father of five known for his holy life. He appeared to bear the stigmata, a physical manifestation of the wounds of Jesus Christ, and said he experienced the Passion and visions of Jesus and Mary. 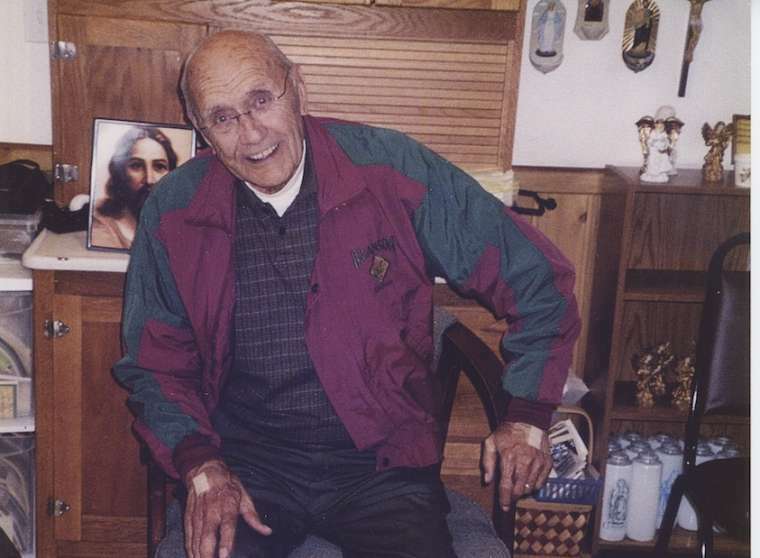 Now the Diocese of Marquette is asking whether he was a saint. For Gale Houle, his wife of more than 60 years, he was also her husband. “Irving is my saint, and this is well deserved,” she said, speaking to the U.P. Catholic newspaper about the inquiry into his canonization. In November 2018, Bishop John Doerfler of Marquette, Michigan opened the cause of canonization for Servant of God Irving C. Houle, who passed away Jan. 3, 2009 at the age of 83.